I have a thing for lamps. All cool lighting really. Somehow I’m drawn to it. 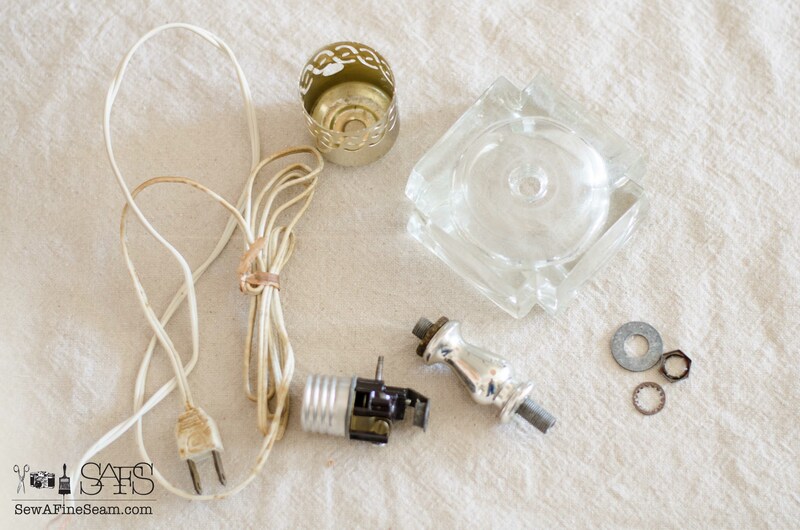 I see lamps at thrift stores or garage sales and think how cool they could be fixed up. I tend to buy them and then not know for sure what to do with them, or just not get around to doing anything and then they stack up. Please tell me I’m not the only one that does stuff like that? The funny thing is I don’t use lamps a lot in my house. When we were first married, we had two big lamps in our living room. It was the only light we had there. No ceiling light, just the lamps. And those lamps were both plugged into extension cords that were strung along the edge of the room into the next room where there were plugins. I hated those cords and over time I came to dislike the lamps because it just wasn’t enough light in the room on long, dark winter nights. So since we have gotten rid of them when we renovated the room and added a ceiling light and can lights, I’ve been slow to add lamps back to my house. My Grandma had 3 of these lamps in her guest room. 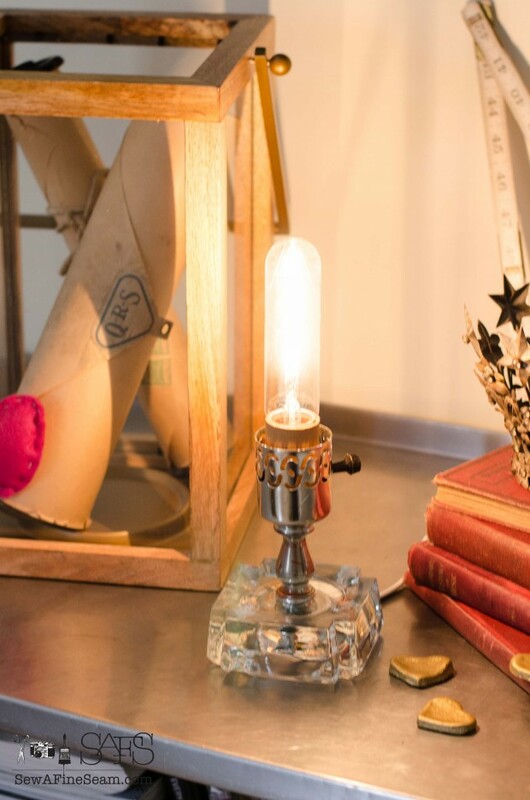 Several years ago when I discovered how delightful vintage stuff could be I took a shine to these lamps. After my Grandma passed away, and we were beginning the task of going through her things, the lamps were one of the two items I declared were mine. These lamps came home with me easily – the other item is going to be a bit more of a challenge to get out of the house and moved to mine – I’m hoping it can happen in the spring. 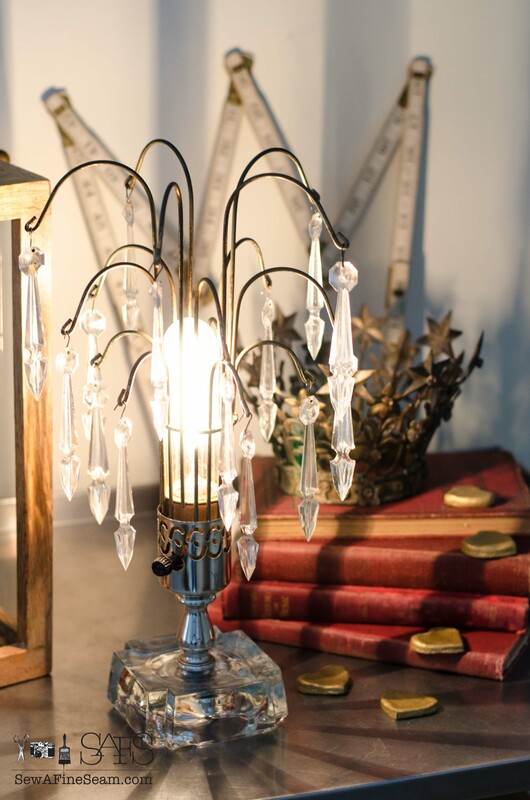 The crystals on the lamps are not glass, they are plastic. But that doesn’t take away from their charm for me. You can buy new cords at any home improvement store, or even Wal-mart if that’s easier for you. I think mine came from walmart – I had my hubby pick them up for me. And they weren’t lamp kits just a cord with a plug on one end and two bare wires on the other. 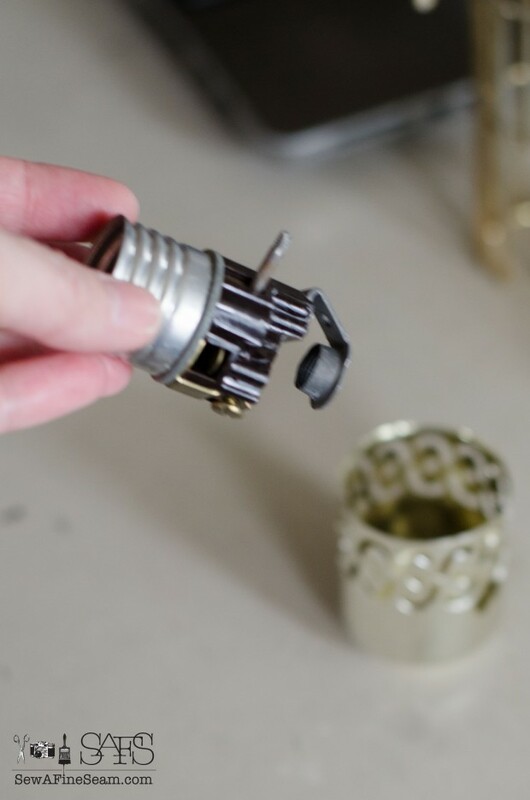 take pics of your lamp as you take it apart – so you have something to look back at to make sure you are putting it all back together right 😀 Trust me, you’ll be glad you did. I washed all the crystals in hot soapy water and laid them on a towel to dry. 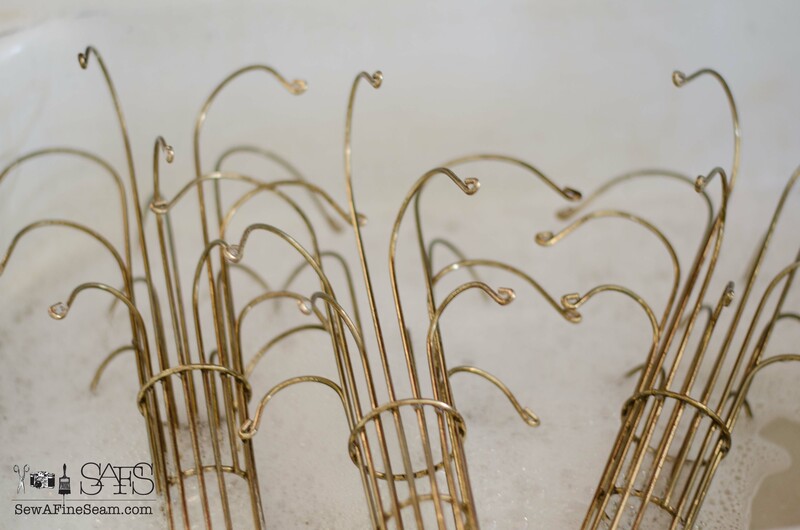 The metal cages got washed too and I decided to just leave them as-is and embrace their vintage imperfections. I could use Rub-n-Buff on these if I wanted to but I didn’t want to go to that much work. Yeah, I’m lazy that way. 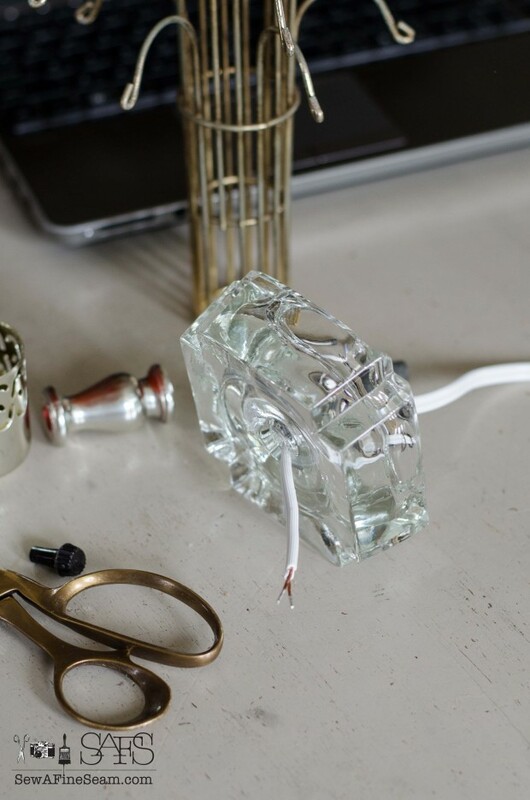 Once all your pieces are cleaned and dried and you have your new cord it’s time to get that lamp wired back up and ready to use! 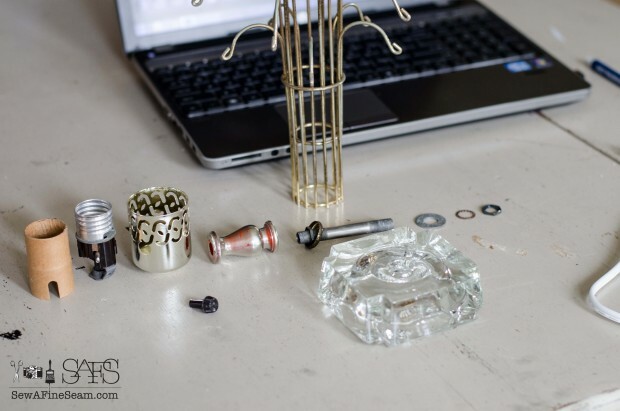 Here’s where those pics of how it went together come in handy – to put things back in the right order because that conglomeration of lamp parts looks a bit intimidating if you’ve never done this before. 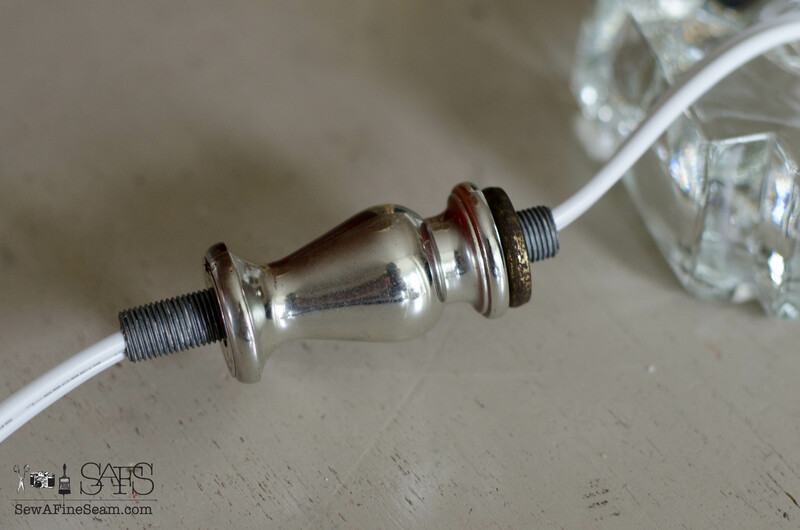 The screws and washer need to go on the wire first before you thread the wire through the lamp base. 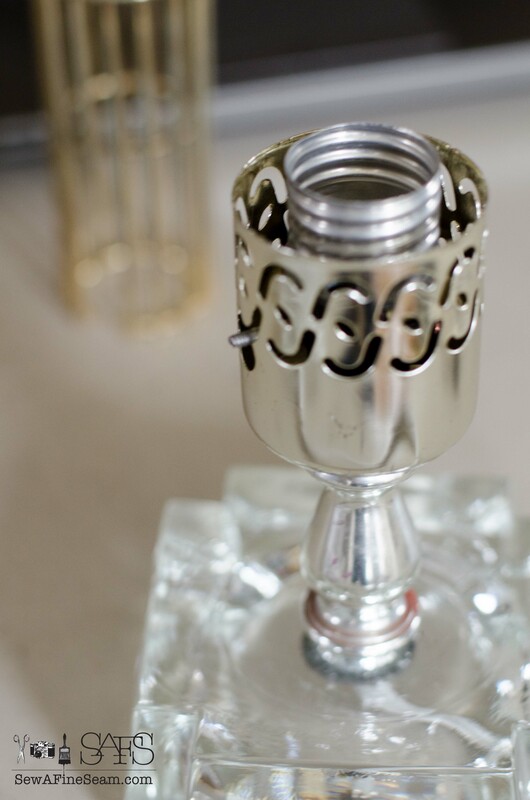 Through the lamp base and then into the long screw part that goes through the center and the decorative pieces go around. Keep pulling the wire through the hollow screw – you will pull the excess wire back down before completely tightening the screws, but you will need extra to get the wires back on the connectors. 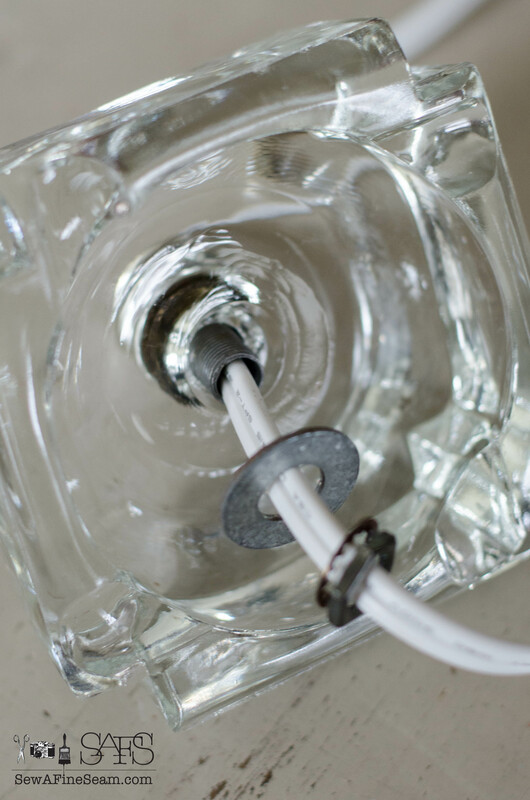 That hollow screw is going to go down through the lamp base and you need enough of it through to be able to get the washers and screws on tightly but not so much that you don’t leave enough at the top. 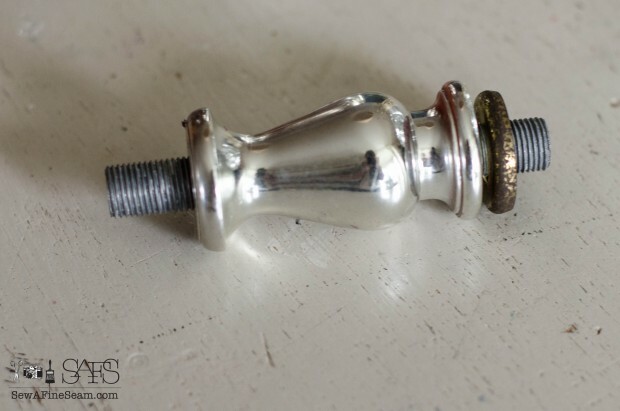 This screw can now be tightened on – the wire cord will still pull back through the hollow middle of the screw. 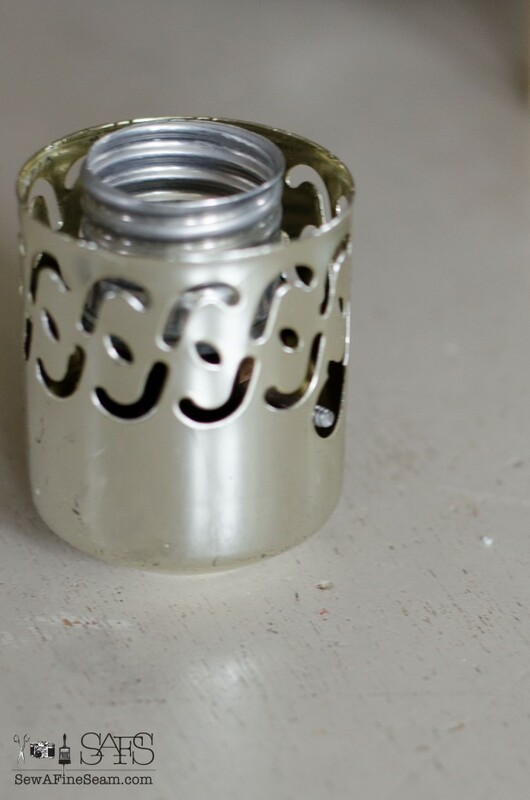 This piece – the lamp socket goes inside the decorative base that will then go on the hollow screw. It needs to fit in like this with the small screw that is the switch coming through the hole in the decorative base where it is supposed to. The plastic switch handle will be screwed back on this once the lamp is completely rewired. 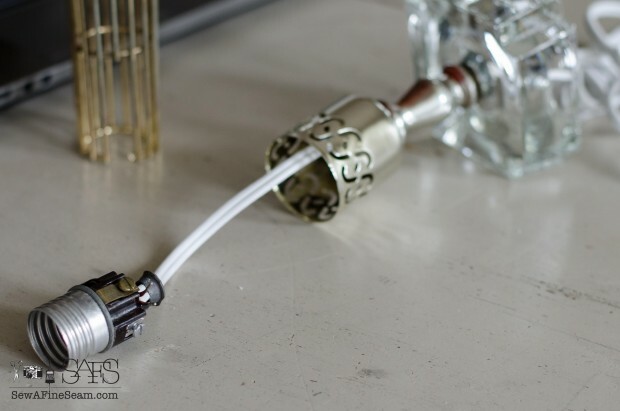 Make sure you know how it is supposed to go in and then fasten the wires in place before inserting the socket into the decorative base. 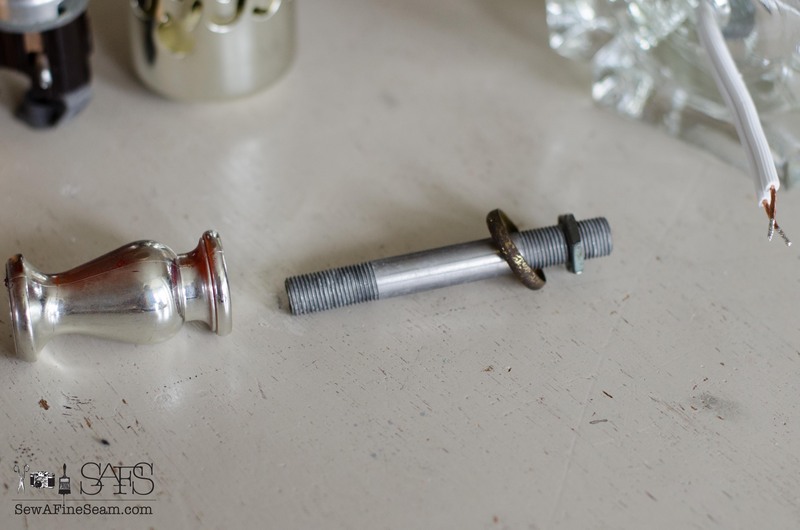 The screws are most likely loose from taking the old wire out but you can loosen it more if needed. 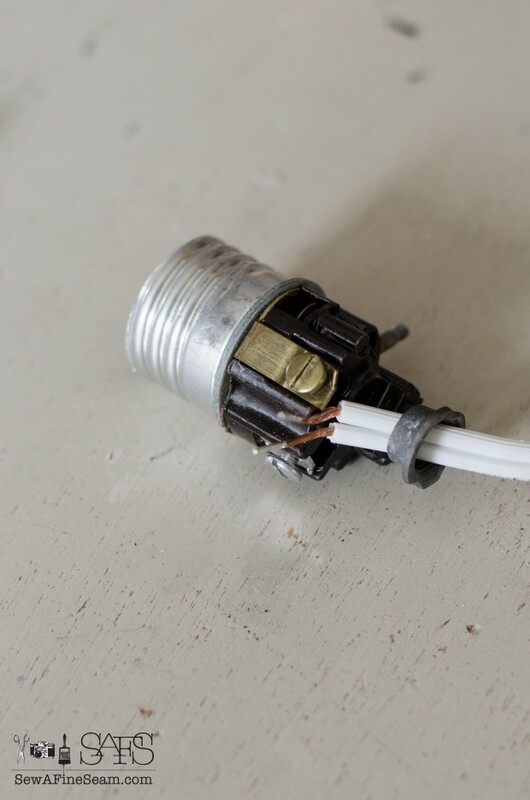 Lamps are easy – one wire goes around each screw. Make sure to tighten those screws down tight after wrapping the wires around them. 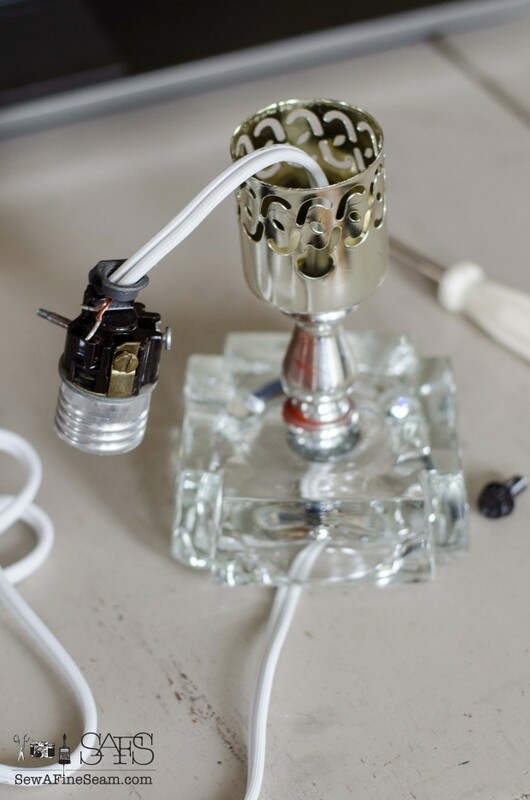 The lamp is all back together as far as the wiring goes – almost finished! 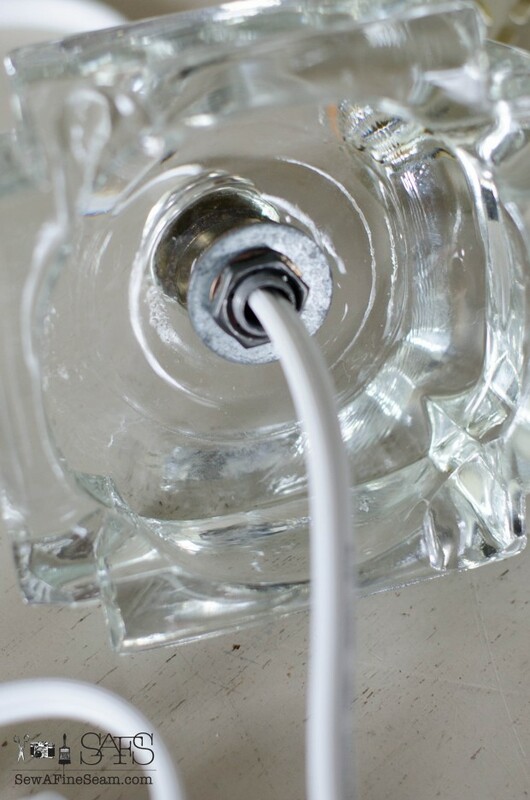 Pull the wire back through the bottom till the socket fits snugly in the decorative base. The socket then threads onto the hollow screw and the lamp is securely back together. 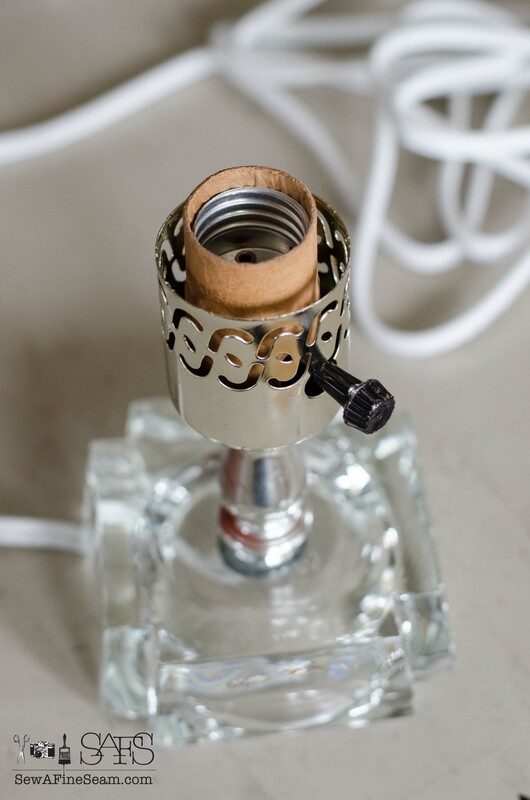 My lamps had a cardboard piece that slides over the socket to hold the metal cage snugly instead of letting it move loosely on the lamp. At this point I tried the lamp with a bulb to make sure it was working. 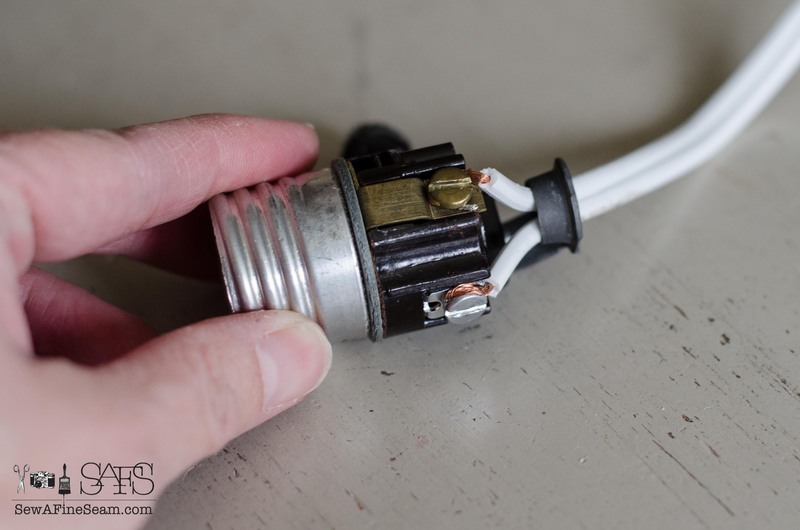 This bulb was in one of the lamps – the other two had bulbs that had the faux flicker flames. I hope to find a couple more close to this one as I like it much better. And light it up! 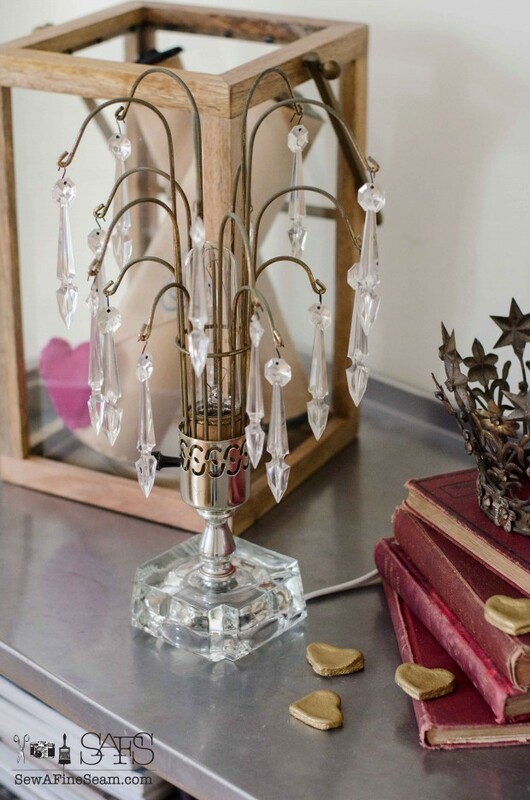 I really like my vintage lamps and hopefully they will spark a complete bedroom makeover – it needs one desperately. Right now it doubles as a storage room – we have almost no storage in this 100+ year old house and stuff has to land somewhere. So what do you think? 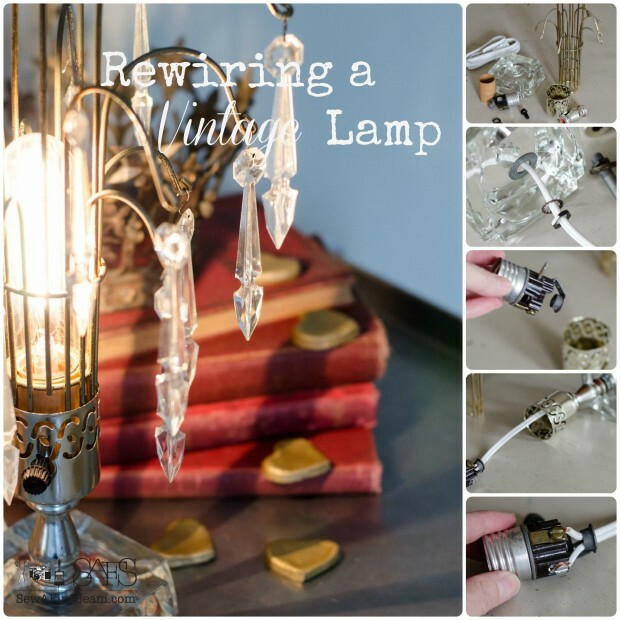 Could you rewire a lamp? Have you already mastered this art? That is an awesome light Jill! I have a thing for them too. 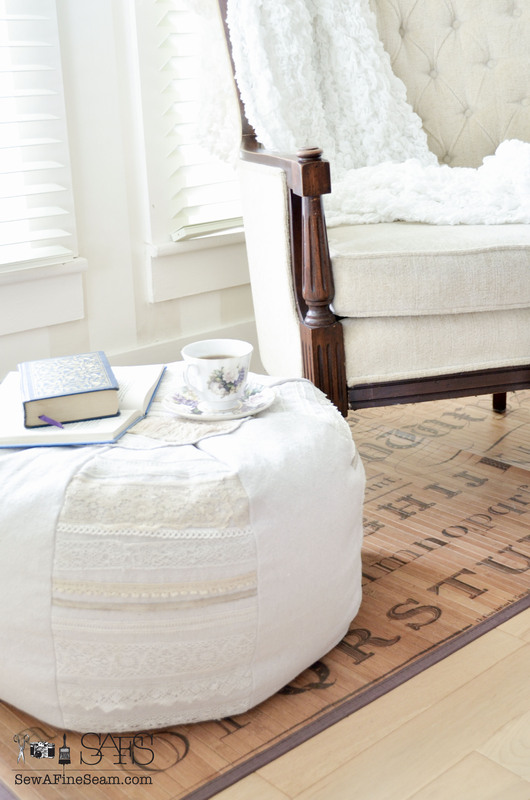 In fact, this one would look perfect in our house. Great tutorial on the rewiring too. Thanks Debbie! I was shocked at how easy this really is! 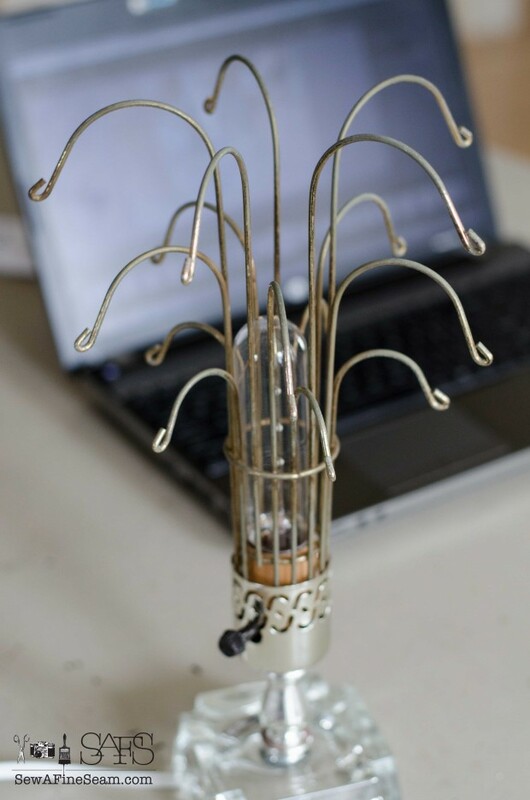 No more passing up old lamps because the wiring is yucky! Thanks for reminding me how easy this really is!! 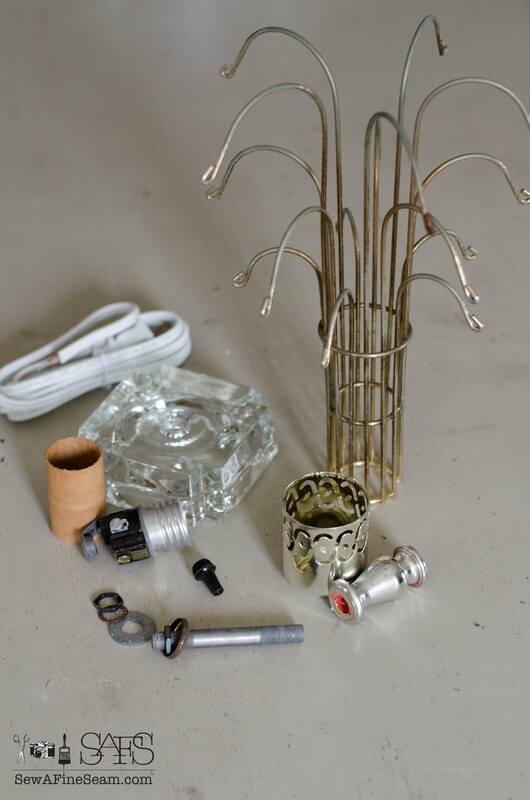 I have a table lamp my favorite aunt gave me as a wedding gift back in 1976 that just needs a little fix – the light blub holder is no longer fitting snugly into the lamp base, I could easily fix it, just need to remember to pick up supplies when I’m in town! Great tutorial!!! Thank you!!! 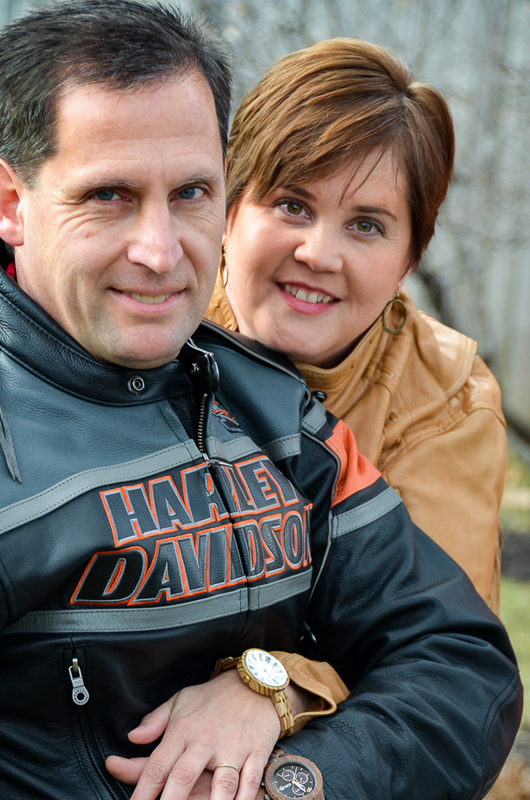 Thanks Susan – hope you get your lamp rewired! Thank you Lisa. 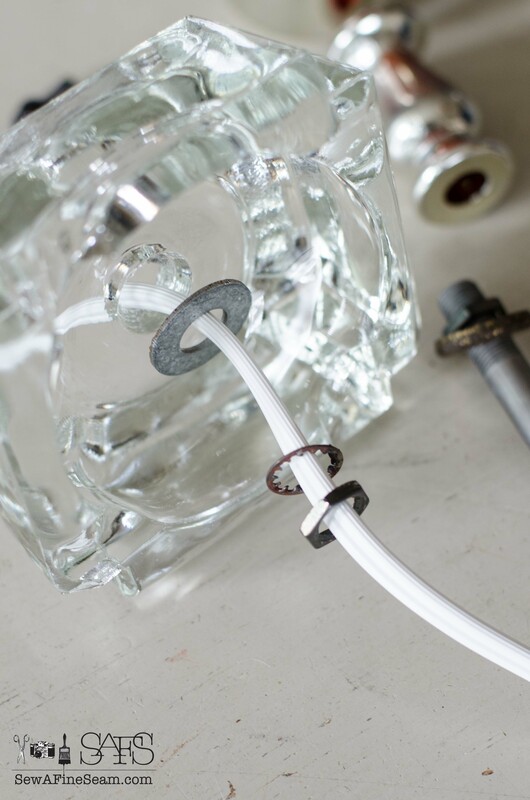 REwiring lighting isn’t near as difficult as it seems like it would be! I also have a thing for lamps. I have about ten antique lamps. I probably could rewire one of them with your great tutorial but my husband is the mechanic in the house. Love your grandmother’s lamp. I have one that looks a little like it. 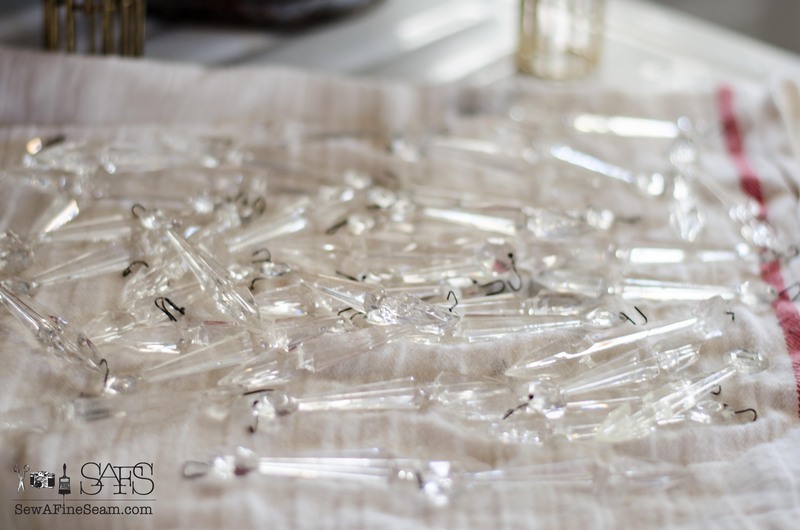 They used to make beautiful lamps & I gravitate toward them when I go to antique stores but I’m running out of space. I have two “Gone with the Wind” lamps that are gorgeous & sit on my dresser. I used to go to auctions but I haven’t been to one in years. Tricia, it is so easy. Just take some photos as you take it apart so you can look back to see exactly what went where! If I’d known how easy it was I’d have been rewiring old lamps long ago! I’m so happy to see that you were able to save and rewire these beauties. Thanks so much for the great tutorial and for sharing at Vintage Inspiration Party. 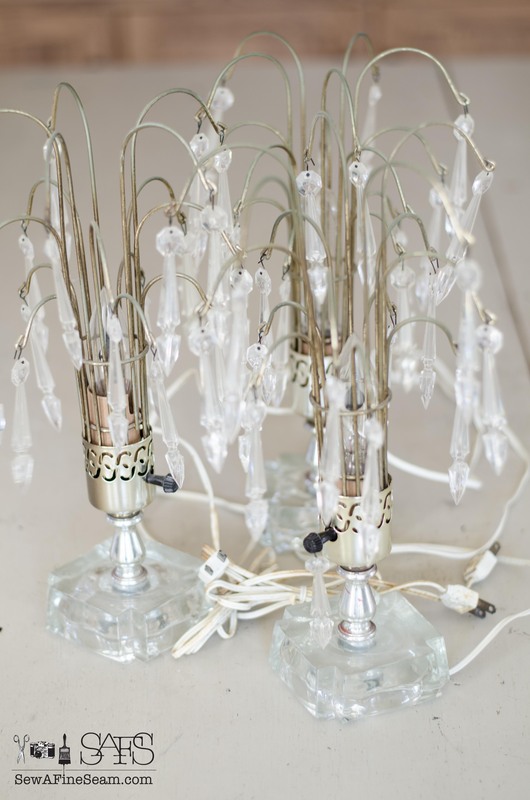 Thanks Betsy – I love my lamps so much! Hi Jill, I just wanted to let you know that this article has been stolen in full by this site – https://www.skillty.com/rewiring-a-vintage-lamp/ 🙁 I recently filed a DMCA with Google against them for an article they stole of mine – they did end up taking it down. Just thought you’d like to know!